For the first time the Desvigens team decided to pick separately the most ancient vines in their superb Javernieres vineyard. This is a Beaujolais of incredible depth of flavour, power and complexity which will age superbly. The only drawback is that our allocation is tiny. 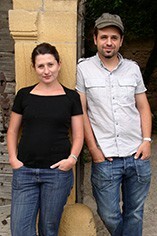 Louis-Claude Desvignes, a 7th generation vigneron, is currently producing some of the finest Morgons in the appellation. His vineyards are situated on the Montagne de Py in the centre of Morgon, where the fruit is of far superior quality to that produced in the outlying areas of the appellation. He has several plots located on the best exposition of the hill, with soil of decomposed schist. Louis Claude has handed over the day-to-day running of the property to his charming daughter Claude Emmanuelle. Claude Emmanuelle harvests later than other vignerons in the appellation with the intention of obtaining fruit of optimal ripeness. The wine is vinified by the traditional cru Beaujolais method with a grille to keep the cap submerged. Recently, the fermentation has been longer and more controlled than in the past, in order to extract the deep colour and depth of fruit that are the hallmarks of his wines. The wines are delicious in youth but will also amply reward cellaring for up to 5 years. With 1100 ha of vines, Morgon is the second largest Cru after Brouilly, producing wines that are only marginally less powerful than those of Moulin-à-Vent. Certainly Morgon’s are the firmest in the region, with a bouquet of great purity and compact Gamay fruit. Morgon needs more time than other Crus before it can be broached - normally 2-3 years for its most serious exponents – and develop its rich, savoury flavours which lead to a Pinot Noir-like maturity. The ‘Classico’ heart of the Morgon region is the Mont du Py, just south of the commune of Villié-Morgon. The finest wines almost exclusively come from its Côte de Py slope, whose aspect and rich schistous soil contribute to greater ripeness, and yield wines that are denser than anywhere else in the appellation. As you would expect from a region of this size the character and quality of Morgon can vary considerably, but the best are as good, and as sturdy and long-lived, as any other Beaujolais you will find. 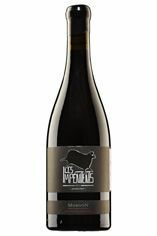 Recommended Producers: François Calot, Maurice Gaget, Louis-Claude Desvignes.